Today, VGBootCamp released a trailer announcing the very first Super Smash Bros. convention titled, Super Smash Con! 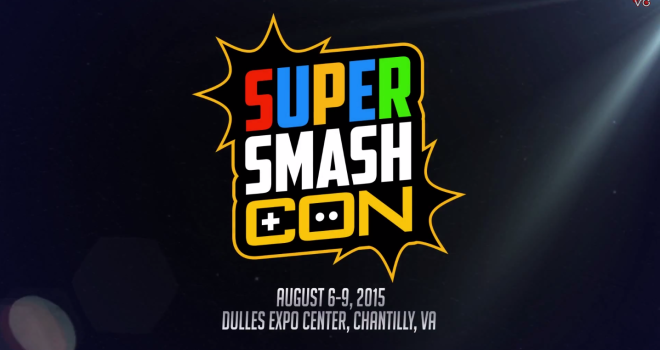 Super Smash Con is scheduled for August 6-9 at Dulles Expo Center, Chantilly, VA. This convention is set to be “more than just a tournament” and will feature vendors, events, raffles, live music, and panels. Tournaments will be held for all four main entries in the Smash series: 64, Melee, Brawl, and Wii U. VGBootCamp will be running the stream. More information will be detailed here on the official Super Smash Con website. Registration starts in April. I’m personally very excited for this event. Even if I don’t get the chance to attend, it’s awesome to see the competitive Smash community grow like this.